Cabin crew and ground staff at Spanish airline Iberia have begun the first of three five-day strikes over planned job cuts. According to the airline, 236 flights were cancelled on Monday. And people with flights booked with Iberia may want to check their travel insurance policies before travelling, as there are expected to be 1,200 cancellations throughout each five-day strike. 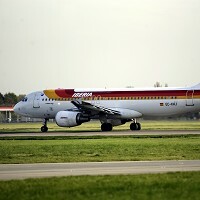 The strikes were called by unions representing most Iberia workers, but not pilots. They will take place between February 18 and 22, March 4 and 8, and March 18 and 22. Action is being taken by the unions over plans by Iberia to cut 3,800 jobs. A government decree on minimum services guarantees 90% of long-haul flights, almost two thirds (61%) of medium-haul and just under half (46%) of short-haul flights. According to Iberia, most of the 70,000 travellers set to be affected by the disruption have already found seats on other flights. The airline, which merged with British Airways to form the International Airlines Group, said economic difficulties oblige it to reduce staff numbers.